Notice! Everyone from our BEST group is working during the summer so the possibilities for us to open the door for people reserving it are limited. Thus, we do not take reservations before September. 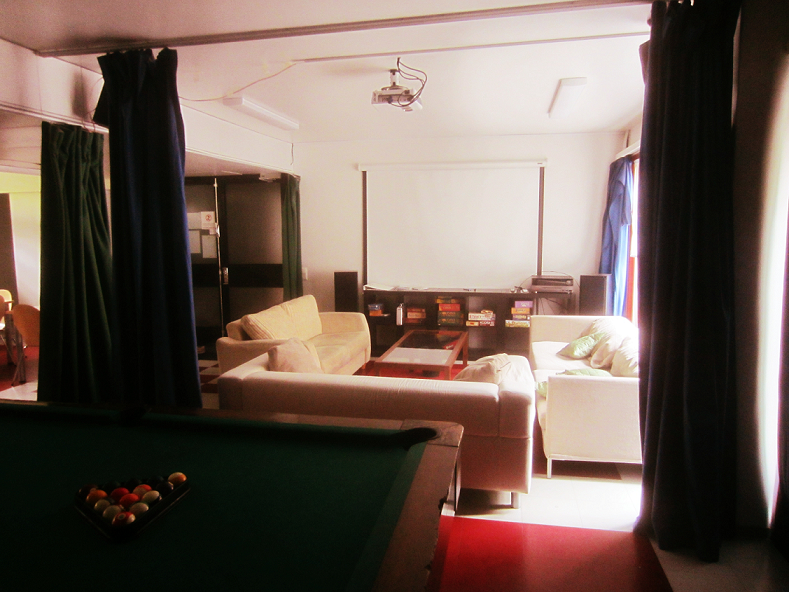 The clubroom is a pastime room for HOAS tenants hosted by BEST. It is located in the ground floor between JMT 11 A and 11 B. All HOAS tenants in Otaniemi have a possibility to reserve the space for free. The space has a WC. It is very important that the silent period is respected as residents could get disturbed! The possible time of use is 12-22 on weekdays (Mon-Fri) and 12-23 on weekends (Sat-Sun). When there are noise complaints from residents it can cause that the responsibles cannot rent the room in the future. The person reserving the room will not get the key for the room. A member of BEST come open the door when the reservation begins instead. Be there on time! After using the room it must be cleaned properly and left in good condition. If the rooms condition is not acceptable you must pay a fee of 30€ for extra cleaning. When you get in the room, first you will sign the following Agreement of use. Clubroom Agreement Also you must fill in the checklist. If the checklist is not filled it costs 10€. Reserve the clubroom here 7 days – 48 hours before the reservation would begin. We confirm the reservations via e-mail whenever possible. Mind that we’re not always available to make the reservations and open the door.